Bulk foods are often much cheaper than packaged foods due to savings on packaging, transportation, and merchandising costs that are passed along to the consumer. Bulk foods prevent a significant amount of packaging from entering landfills and bulk goods require less overall transportation to deliver to consumers. Bulk foods do not require the packaging components that must be produced and transported prior to being filled. Plus, the transportation of bulk product to retailers is efficient because it can be packed more densely on a truck. Food packaging can limit your ability to buy in quantities desired which can result in food surplus and ultimately waste. When buying from the bulk bins, you can purchase EXACTLY how much you need- a pinch or a pound. Packaging often limits a consumer’s ability to actually see the product they are buying. With bulk foods, you can see right into the bins and so your visibility to the product is much better- you know exactly what you’re getting! Want to learn more about the benefits of bulk? Golden Temple and Willamette Valley Granola Company are members of the Bulk is Green Council (BIG), a non-profit organization dedicated to helping consumers, food makers and grocers learn about the many environmental and economic benefits of bulk foods. 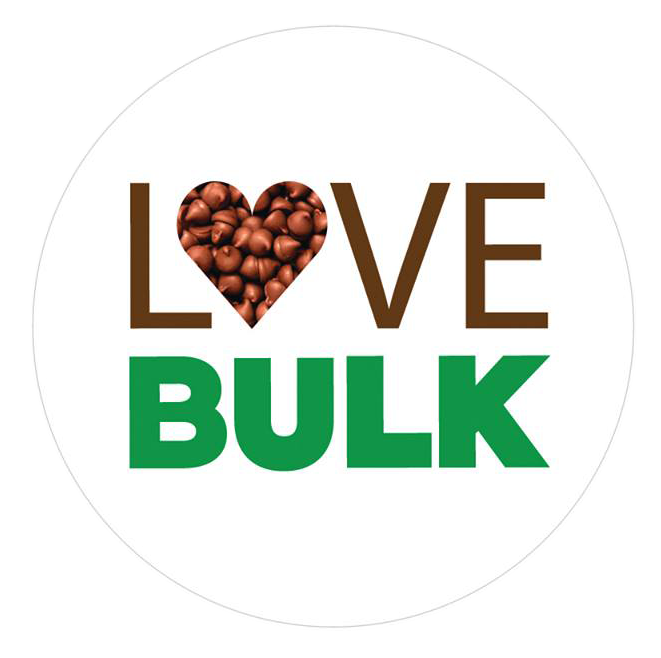 Like and follow the Love Bulk campaign on Facebook!